Accelera’s Cloud Management and Automation solutions make the cloud accessible to any organization, regardless of staffing level or cloud experience. We’ve made complex cloud solutions easy to operate through a “single pane of glass” style interface with simplified management, monitoring, and automation tools. Self-Provisioning: Providing self-service and department specific provisioning, to enable everyone in the organization to benefit from the cloud, not just the experts. With chargeback capabilities, departments can easily track cloud costs. Self-Healing: The ability to identify non-compliant resources, quarantine and heal them back into compliance instantly. Automated Cost Reduction: We can identify and automatically resize, stop, or terminate underutilized resources. Security Assurance: Easily track and manage firewall rules, users, packages, keys and other key aspects of infrastructure security. Simplified Cloud Management: Single, in-depth pane of glass into resources across clouds and cloud accounts with standardized life cycle controls. 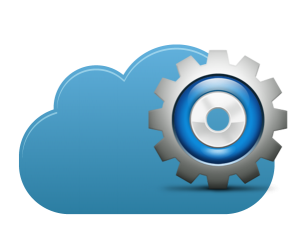 Unified Cost Tracking: Providing insight into the cost of your cloud resources. Some organizations are concerned with cloud “lock-in”, or the challenges that occur when trying to move from one cloud provider to another. Our solutions avoid cloud lock-in regardless of which public or private clouds you use today, or may use years down the road.